Former AC Milan striker George Weah has been voted president of Liberia after clinching 12 of the 15 counties in the west African country. The 1995 FIFA World Player Of The Year becomes the 25th president of the country after beating his opponent, 73-year-old Joseph Boakai. Weah, 51, has taken to Twitter to thank all his supporters. The Confederation of African Football also congratulated Weah on his rise to the office. The former footballer spent five years with AC Milan before he joined Manchester City in 2000. He made over 60 appearances for his country, scoring 22 goals. 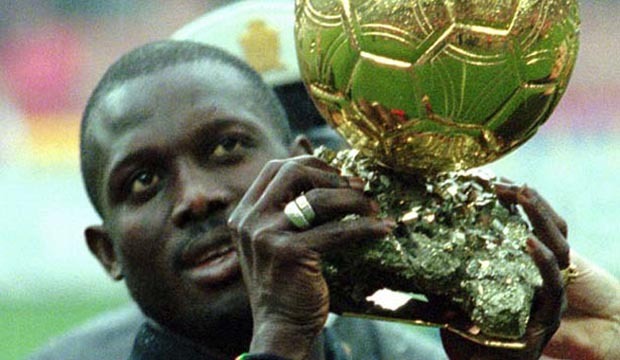 In 1995 Weah was the recipient of several individual awards. He won the Ballon d’Or, the Onze d’Or, and was named FIFA World Player of the Year, becoming the first and, currently, only native African player ever to win these awards.